OpenNebula Systems offers comprehensive public and private training classes conducted by OpenNebula experts who have years of experience working in cloud design, deployment, integration and operation. 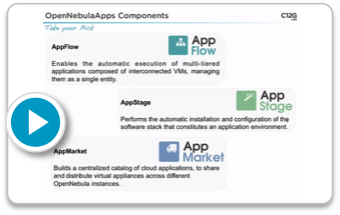 We have created a series of webinars to present the most significant features in OpenNebula. 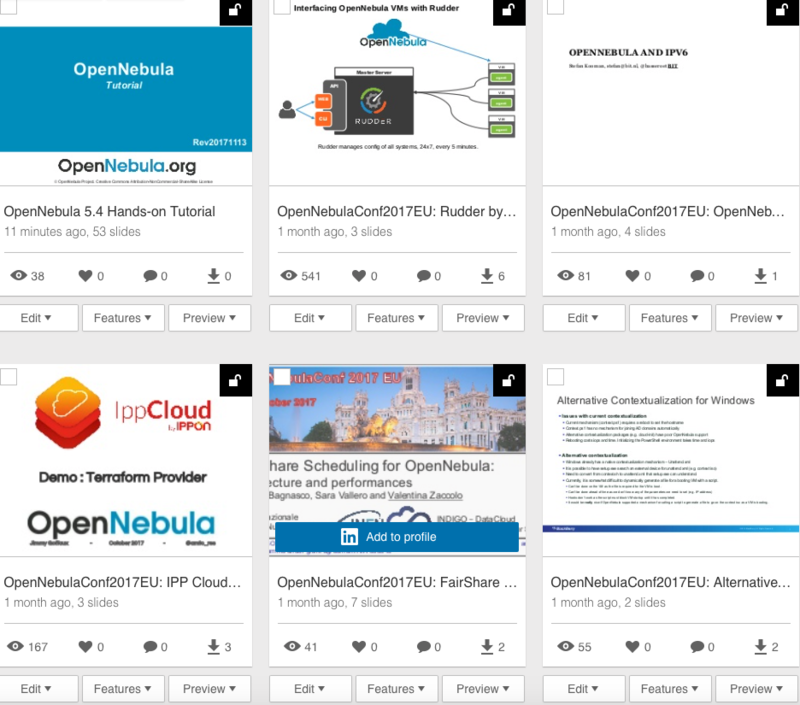 Please see that some of the webinars do not show the latest version of OpenNebula and so the latest features of the technology. Description: This webinar is intended for people willing to learn why OpenNebula is the most powerful open alternative to build private, hybrid and public clouds on your existing VMware infrastructure. The webinar include a 30 minute presentation of the features provided by OpenNebula 3.8 to improve the experience managing your VMware hypervisors. Description: Join us for this 50 minute webinar where we will unveil the features and usability of the brand new OpenNebulaApps suite. This suite provides a service management layer on top of OpenNebula to simplify and optimize cloud application management. The webinar will include a 30-minute presentation of the features provided by OpenNebulaApps TP and a live demo of its user interface, followed by a 20-minute question round. Description: Join us for this 50 minute webinar to learn how the main design principles in OpenNebula allow for seamless integration with third party components. 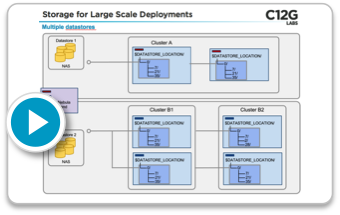 One solution cannot fit all scenarios, specially in an ecosystem as diverse as the one present in datacenters. For this, OpenNebula features a flexible architecture with standard APIs to help integration in order to achieve an excellent cloud manager. The webinar will include a 30-minute presentation of the features provided by OpenNebula to aid with integration with third party components, followed by a 20-minute question round. Description: Join us for this 50-minute webinar to learn how the main design principles in OpenNebula allows for large scale cloud deployments. 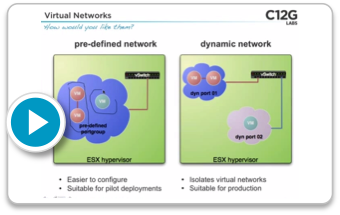 In this type of deployment it is usually the case that we have to deal with large number of physical hosts, with the intention of running a large number of virtual machines.The webinar will include a 30-minute presentation of the features provided by OpenNebula to deal with large scale clouds, followed by a 20-minute question round. Description: In this 50-minute webinar we will make a tour on the design principles behind OpenNebula architecture, showing in a 30-minute presentation who uses it and what this solution has to offer to the different actors in cloud infrastructures: the cloud provider, the cloud consumer and the cloud integrator.